Eric B & Rakim – local support contest! 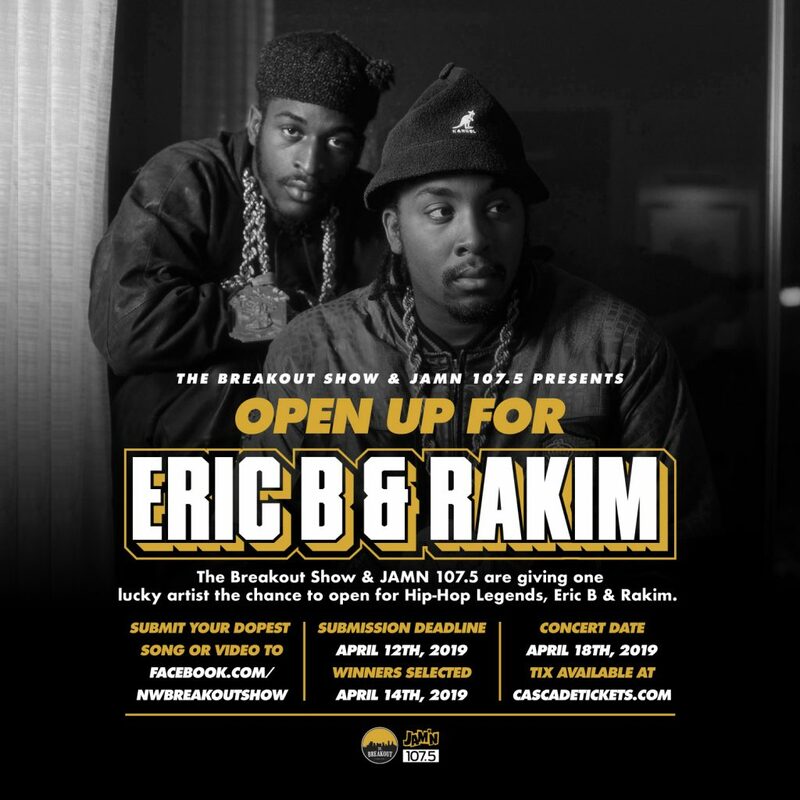 We’re teaming up with JAM’N 107.9fm to give a local Hip Hop artist a once-in-a-lifetime opportunity to open for one of the biggest legendary Hip Hop acts of all time…Eric B & Rakim! Submission deadline is April 12 and all details are below. This is your chance…..dont sleep! !